Cannabis consumption is at an all-time high – not just for humans, but for dogs too. This is good news for all of us dog lovers, especially because that whole 7 to 1 ratio is a problem so we’ll do anything to extend the lifespan of our furry companions. A quick Google search of “cannabis products for pets” will yield dozens of results. There are several reputable brands out there who have successfully developed hemp and CBD products for Max and his friends. Dogs have an endocannabinoid system too, so it’s wrong to think that they can’t benefit from cannabis in the same way we do. 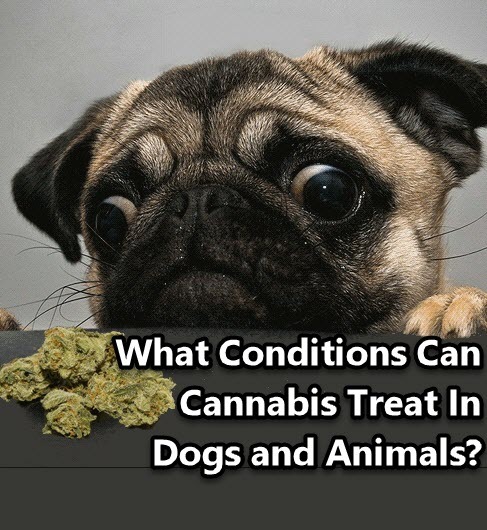 There’s a ton of CBD products out there for dogs and they won’t get high, but how exactly can they help? If you’ve ever witnessed your beloved dog growing old and slowing down, you know how heartbreaking it is. It can’t be helped; just like humans, dogs will age and slow down too both physically and mentally. But with some cannabis you can help make their golden years a little more bearable while helping to make them strong.